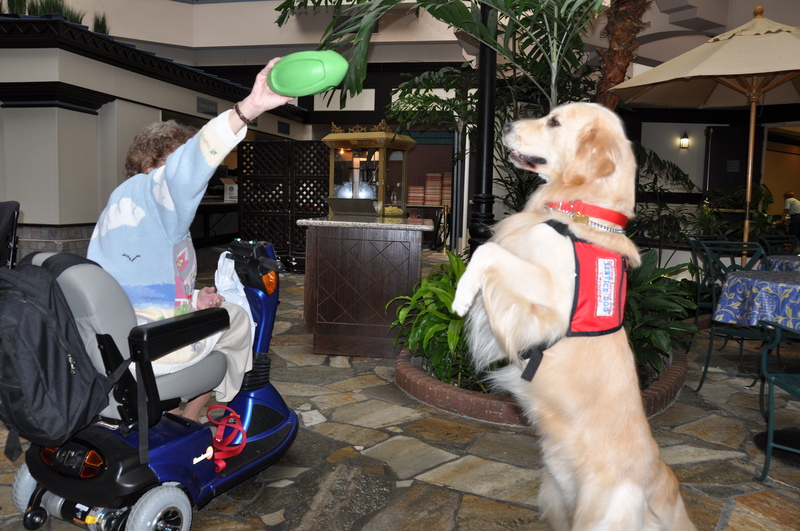 Pet Charities- How can you & Fido help? While many of us like to lend our time to worthy causes, and for us pet people it is all the more rewarding if we can find ways to get Fido involved as well. There are actually many charity events and causes that you and your dog can participate in together! From doggie and me fashion shows to walk in the park events there is much to choose from. By including your faithful companion you are not only getting out and supporting your favorite cause but your furry friend is also getting in his daily walk and some healthy social interaction! A rewarding day all around! 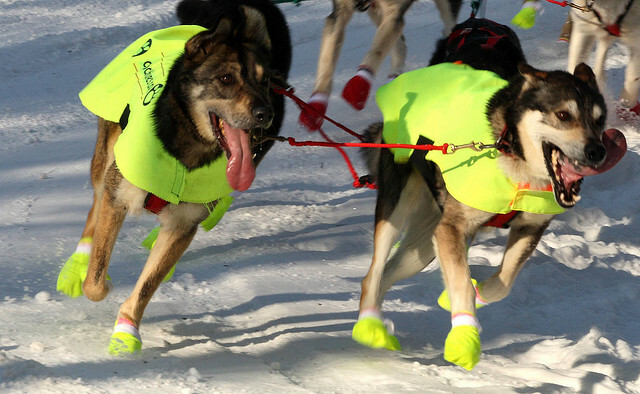 Active.com has a great listing of races that you can do with your dog. This listing includes races from all over the US and for all different types of causes. While all of these don’t support canine-related causes, there are many events that your dog is sure to be welcome at. For the outdoorsy action lovers try out the All Star Dog Run Santa Cruz 5K-10K in Santa Cruz, California. You can run with your dog through the Redwoods with a mix of pavement and fire roads! This race really mixes things up with a great location, beautiful scenery and of course the most important part, the proceeds support the Morris Animal Foundation’s animal health studies. To provide a nice family event that is pet friendly but professional. To raise awareness of the needs of homeless pets. To promote spay/neuter of pets. To raise money to help support our goals. Oh, and with your registration you will receive a free wine glass that includes a free tasting at the winery! What a great way to celebrate after you have completed your run with your pet! The JW Pet team loves to participate in events that help to support our animal community and we also make it a point to donate product too many animal charity organizations. Wags N Walks, Rock & Rawhide, MSPCA, IAADP, countless shelters, rescue groups and doggie parks across the country. The list is endless and there is always an animal in need so go out and help by supporting your favorite pet charity today! Has anyone seen the DOG!? A horrible feeling washes over you as you realize that your beloved pet is not in the house, is he/she in the back yard? No? The feeling begins to build; you run around asking everyone in your home if they have the dog and realize the dog is GONE! Maybe the fence was not latched properly, maybe your dog learned how to escape or someone did not fully shut an entry door. Whatever the reason when you realize that your dog is truly missing and possibly out on his or her own in the big bad world, terror sets in! So what do you do? We have all seen those posters on the telephones poles or at the local market. A picture of someone’s lost dog or cat with a brief description, phone number and for the lucky ones a nice fat reward! But do these signs really help? They do! The good news is the odds are very good that you will find your pet! PetFinder.com explains “some 40% of households have pets. People in those homes will respond favorably to a lost pet. More households do not have a pet but include someone who previously had a pet. Strong chance of positive response. More households again do not have a pet but do have children, who will be eager to take in a lost pet. That is a lot of eyes and ears. That is a lot of strangers who are on the side of finding and helping your pet return home.” If your dog was wearing a collar with an Id tag, you are in good shape; this is the first thing someone will look for if they find your pet. Timing is still very important. The first step is to immediately walk the neighborhood and if you can; have someone begin to drive it as well and slowly broaden your search radius. “Most dogs are found within a two- mile circle of their home, especially because they normally will never run for an extended length in a straight line no matter how strong or fast they are” according to Pet Finder.com . Call your pets name in a clear, calm & happy tone (it is important to try to mask any anxiety or tension from your voice as you do not want your pet to worry he/she may be in trouble and then hide or continue to run away!). If your pet has a favorite treat bring that with you and rustle the bag or package, this is a noise they know well and will come running towards! Also check with your neighbors to see if they may have seen your pet, even if they have not this will make them aware that your pet is missing so that they can help you to find him/her. The more people that are aware the better your chances of getting your pet safely home to you. If you do not locate your pet on your first neighborhood sweep do not panic. Your next step should be calling your local shelter and reporting your pet missing. Next call your local veterinarian and various pet shops to see if they have received a call from someone who may have found your pet. Now it is time is to create one of those “LOST” signs we mentioned earlier. 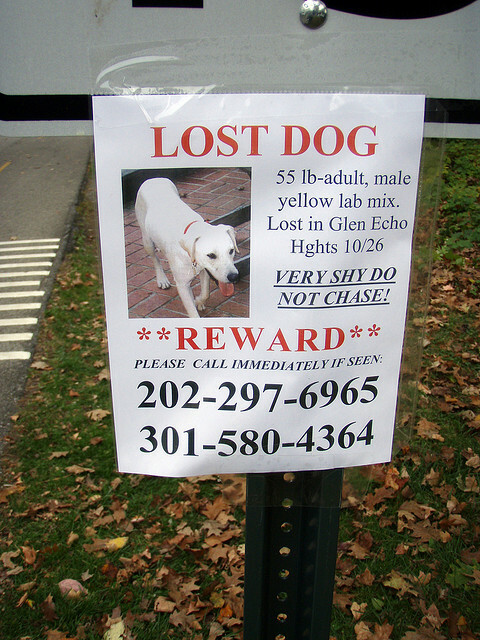 These signs are truly a significant tool to help you find your pet. It is important to make sure to include a photo of your pet, a contact telephone number and to put the words REWARD in bold print. Make your sign stand out; bright, bold letters clearly written on a sign with a color photo will get the best results! Place the signs around your neighborhood, at popular intersections, at stop signs, schools, grocery stores, local shops and of course at your veterinarian’s office. You even want to include vets and pet shops in other nearby towns. You have now increased the number of people looking for your pet exponentially. Finally, get on the internet! With social media what it is today you can use Facebook, Twitter, Instagram, Pinterest and many many more sites to broadcast that your pet is missing. Start a blog, get the word out. You will be surprised at the results you will get, people WANT to help! Now it is time to simply wait it out, and try to remain calm; most likely you will receive a call in 24-72 hours that you’re pet has been found. Pet Names Taken to the Extreme! Were you able to guess some of them? Maybe not, but I’m sure you weren’t too surprised by this list. Just like with humans, pet names seem to follow a social pop trend. Movies, TV shows, celebrities; you name it, they usually influence our choice. In a recent post by PetExtreme.com they discussed the pet naming process and how it can really bring families together “So what do these names say about us? Well, I guess they say that we have a sense of humor! Beyond that, I think they speak to our togetherness. Each name has special meaning to us as a family. We bonded with the new family members, but even more importantly, we bonded as a family; our pets brought us closer together as a unit. Those moments, on the living room floor, all together, deciding on a name were priceless.” Just another way that pet bond us together, finding them the right name to fit into our families! It seems that when asked, most people tend to agree: coming together as a family to name your new best friend is not only fun but a special experience for all of you. 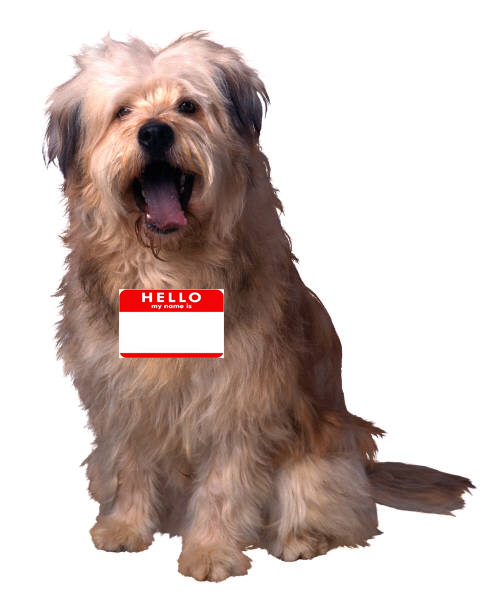 Still need help finding Fido the perfect moniker? Check out http://www.wikihow.com/Name-a-Pet for tips! TELL US…How did YOUR dog get their name? We all want to think that our homes and our neighborhoods are safe havens yet for our pets a standard suburban neighborhood can have some hidden dangers that as responsible pet parents we should all be aware of. Let’s face it dogs should be on a leash, we all know it but occasionally we do not follow this cardinal rule as well as we should. There are many parks and recreation areas that allow us to let our dogs off leash for some much needed exercise and playtime and while these areas are generally safe and our pets are supervised it is still best for every pet parent to understand the dangers out there if their dog is allowed to get loose in the neighborhood or even in a friends fenced in backyard without supervision. Some fences have weak areas; dogs can dig under, jump over and some clever dogs even know how to work a latch! Dogs can find the craziest ways to escape when they are set on a goal! When they do your supposedly safe neighborhood can become a very dangerous place. There are the obvious threats such as being hit by a car which is more common than you might think. It is estimated that over one million dogs each year are hit by a car in the US alone. No matter how smart we may think our dog is, if a squirrel runs across the road or something yummy lies just over those yellow lines he will go for it! There are some not so obvious dangers to think about as well. Common outdoor plants that are poisonous to dogs and cats. Just to name a few… Lilly of the Valley, Iris, Autumn Crocus, Rhubarb, Azaleas, Rhododendrons, Oak Trees, Cherry Trees and even those harmless looking Buttercups are just not safe for pets to ingest! Pesticides. Getting into rodent poison, an open bag of lawn fertilizer in the garage, your lawn may be safe but pesticides that neighbors use may not be! Also plant foods, antifreeze, de icers and some types of mulch can be harmful if ingested. Predators. Not only can your dog be attacked by a wild animal or a not so friendly neighborhood dog; your dog can potentially also prey on other animals. The neighbor’s cat or a harmless groundhog could easily become a victim. Wild and domestic animals can carry disease and so pose other health threats for your pet as well. Lost Or Stolen. Sadly many dogs wander far away from home and then they truly become lost. It is estimated that over 2 million pets are stolen per year. There are many reasons this happens, for profit, dog fighting and for laboratory use to name a few. Don’t let this happen to your pet! So now that you understand some of the many dangers for pets on the prowl how do you prevent these things from happening to YOUR pet? Never intentionally let your dog loose on his/her own. If you have a fenced in yard check it over periodically for weak areas or places you dog has dug out. Repair as needed. Make sure your fence is high enough and strong enough to secure your pet. Check your yard for plants that may be unsafe. Check neighbors yards and as well! Always walk your dog on a leash and use that handle. Be prepared if your dog gives you a good pull unexpectedly! Make sure that your dog gets enough regular exercise so that he/she is not so determined to escape. Spay or neuter your pet! This is proven to prevent pets from wandering off to find a mate! 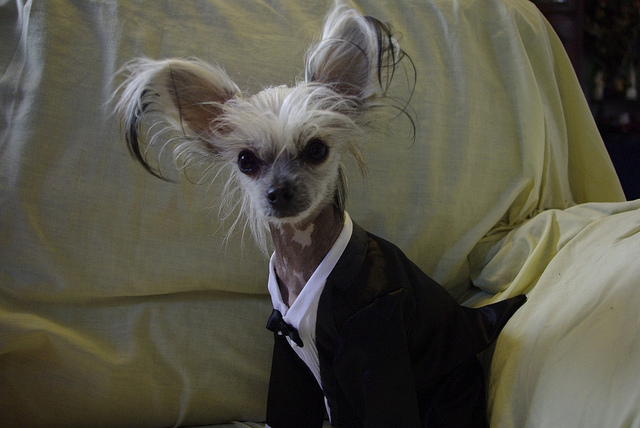 If you place your dog on a tie out make sure it is a suitable strength for your pet’s size. Make sure chemicals and other harmful materials are not at ground level in your yard or garage. Secure them and place them out of your pets reach. Overall- Just be aware. You can never be 100% safe but by being an educated, vigilant pet parent you can provide your beloved companion with a secure outdoor environment and feel good knowing that he/or she is as safe as can be! With the weather getting cooler and the leaves starting to change, it is safe to say that summer is officially over. Fall has set in and our focus has begun to shift. The kids have gone back to school; we are pulling out the Halloween decorations and packing away the bathing suits and other summer gear for yet another year. It is easy to get caught up in all the many tasks; so this time of year it is especially important not to forget about our furry loved ones! Fall is a big shedding season for dogs. If you have a dog that got a cool, short haircut for summer, chances are their hair is probably growing back in now. While a definite transition period to your dogs clean cut look this is beneficial for the cooler weather to come. 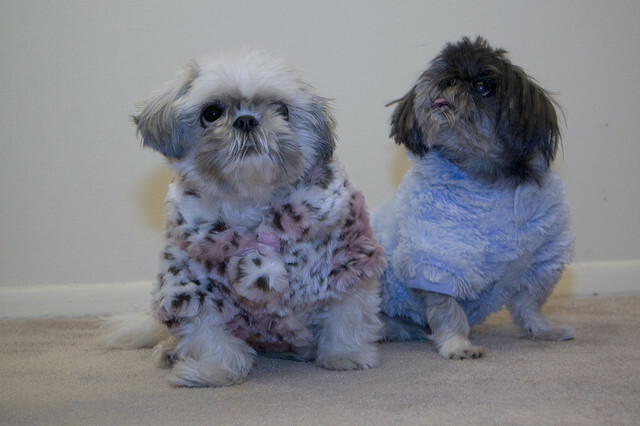 Their new thicker coat will keep them warm during the cold, winter months. But it is important as an owner that you help your dog stay prepared. JW GripSoft Grooming Tools are great to keep on hand for all seasons and all weather conditions. There are grooming tools for long haired dogs, short haired dogs, wiry haired dogs and even non-shedding dogs. Whether it’s a slicker brush, pin brush, nail clipper or undercoat rake that you need, JW has the perfect tool for you. Grooming is also a great way for you & your pet to bond, so set aside some time each day for a brushing session. It will keep your pet looking sharp, your house less full of fur and allow for that much needed “me” time every dog craves from their person. Another dramatic part of fall is that the children return to school and for some of you, a longer work schedule begins. In the midst of all the work, errands and general hustle and bustle of life our pets tend to get a little neglected. While they loved the vacations, walks and adventures you took them on in the summer they are now feeling the effects of too much down time. It is important to remember that just because your family is busier and the weather is cooler, your dog still needs regular exercise and their favorite thing; some loving attention from you and your family! Try to help your dog fight boredom and feel extra loved this fall season with a new JW Pet Treat Toy! – Be sure to walk your dog as soon as you get home from work. If they have been alone for most of the day, this is crucial. – If you will be gone for more than 8 hours a day it may be necessary to get your dog a doggie door or hire a dog walker so your pet can have a bathroom break while you are at work. – If you are able, exercise your dog as much as possible during your weekends and free time. This will lead to your pet being more relaxed while you are away. – Try to make your exit low key: say goodbye to your furry friend calmly and leave quietly so as to not make a big deal out of your departure. – Depending on your dogs breed and coat, make sure to keep up with regular grooming-the changing of the seasons can affect them significantly. Check out Gripsoft grooming for tools that are just right for your pet. – Always leave your dog with a great JW Pet toy so they have something to keep their interest….and safely chew while you are out of the house. Follow these tips and you and your pet should be able to make a healthy, happy transition into autumn. Do you have any tips or suggestions on helping your dog transition? Leave us a comment & let us know what they are! Dog Toy Safety-How do you choose the right dog toy for your dog? We all love our dogs, let’s face it they are truly a part of the family; our children with fur! When it comes time to select a toy for our pet we want to feel comfortable knowing that we are selecting a toy that not only engages, stimulates and challenges our beloved canine companion but also that is safe. Safety has become a prominent issue in the pet industry over the last few years as consumers have become more educated about the products they are bringing home to their dogs. Not only have there been a number of news worthy incidents of unsafe pet products there have also been multiple pet food recalls. This unfortunate trend has brought pet safety to the fore front of our minds. Although it may seem like there have been a lot of unsafe products in the marketplace the reality is that overall, most pet product manufacturers go to great lengths to make sure that their products are safe for pets to interact with. At JW Pet we take safety very seriously. Not only do we test for a wide variety of heavy metals, including lead, we also do extensive testing on our toys before they are ever released to the public to determine that they are safe. Our designers study each and every toy concept right from the beginning and work from every angle to make sure that we are producing a toy that is as safe as it can be. So how do you select a safe toy for your pet? There are many different types of dog toys available and each dog will have his or her favorite type of toy. Some dogs love plush squeaky toys while others will favor a tough natural rubber toy they can really sink their teeth into. Dogs also have very different chewing styles so an important part of choosing a safe toy for your pet is to understand how your dog plays with his or her toys. If your dog is determined to “kill” the squeaker in every toy you bring home and toys quickly get shredded into multiple pieces you must be very careful that you are purchasing durable toys designed for tough chewers. Always remember to supervise you dog while he or she is playing. If a dog toy has separated parts or pieces it should be removed immediately. On the other hand if your dog still has the very first soft squeaker teddy bear that you gave him when he first came home you can be slightly less selective with the type of toys that you offer. Each and every dog will treat each type of toy differently, knowing your dog’s preferences will help you to provide toys that will be truly safe for your pet. At JW we strive to create products that offer all the fun a dog craves while still providing a safe toy. Our top selling Cuz line of toys helped us to create a patented process that we now use in all of our squeaky toys. First, we surrounded each squeaker with a cone-shaped, hard plastic housing. Then, we created a unique and patented way to “lock” the squeaker into the toy and protect it. JW squeaky toys are the perfect holiday surprise for dogs that LOVE squeakers, you can feel confident knowing you can gift these durable products to pets of friends and family! Another important safety feature is the packaging of the toys, read your labels! Most companies have some type of toxicity statement on their labels that will tell you exactly what they have tested for. There should also always be a material statement so that you know what the toy is made from. Many consumers think if they buy a product made in the US it guarantees a quality toy and this is simply not the case. A responsible company can produce in China, in the US or in any other country and have a quality product that is safe. It is all about the testing, the design, the follow through and the integrity on the part of the company to make sure their products are truly top –notch! Look for JW pet products at a pet retailer near you or visit us at www.jwpet.com!